Of the twenty-six species of bustards in existence, four are considered Threatened with extinction and six are considered Near Threatened, in danger of becoming threatened. 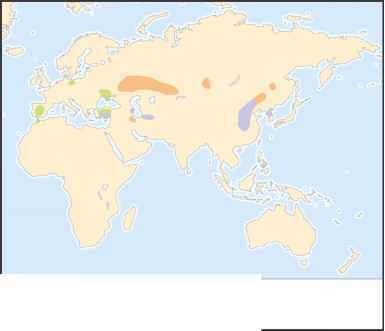 Most other species are also declining. Bustards are threatened primarily due to hunting (particularly in India and Indochina), habitat destruction, and pesticide use. Physical characteristics: Male great bustards reach lengths of 41 inches (105 centimeters) and can weigh between 13 and 40 pounds (5.8 to 18 kilograms). Females are smaller, at 30 inches in length (75 centimeters) and 7 to 12 pounds (3.3 to 5.3 kilograms) in weight. Great bustards have black and gold barred backs and tails and white bellies. The head is pale blue-gray in color in females and nonbreeding males. Breeding males have white and rust colored feathers on the neck and long white barbs on the chin. 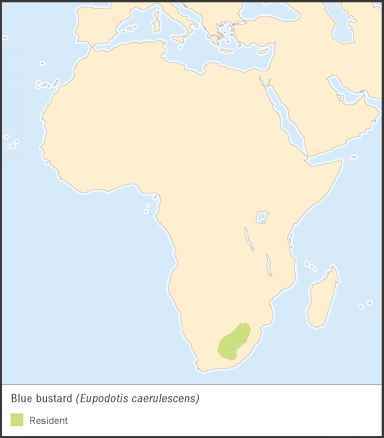 Geographic range: The great bustard has a scattered distribution and is found in portions of Morocco, Spain, Portugal, Germany, Hungary, Ukraine, Turkey, Iran, Russia, Syria, Uzbekistan, Tajikistan, Mongolia, and China. Habitat: The great bustard occupies short-grass plains. Diet: Great bustards eat plant material and insects. Sometimes they will eat larger animals such as reptiles, amphibians, and the chicks of other species. 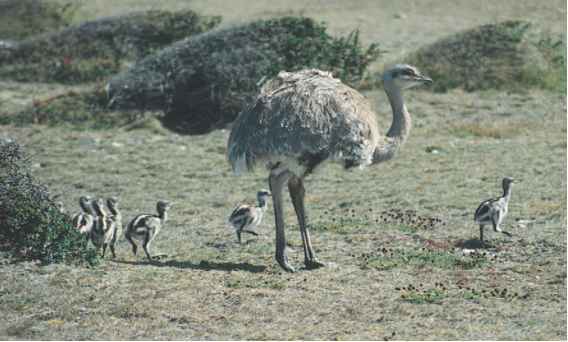 Behavior and reproduction: Great bustards live in large groups, with the males found in separate groups from the females. Some great bustards are migratory, while others remain in the same place year-round. During the breeding season, males perform elaborate courtship displays, characteristic behaviors intended to attract female mates. Females lay two or three eggs at a time. These hatch after about twenty-five days. Chicks are able to fly after between thirty and thirty-five days. Great bustards and people: In Europe, great bustards sometimes appeared on family insignias. 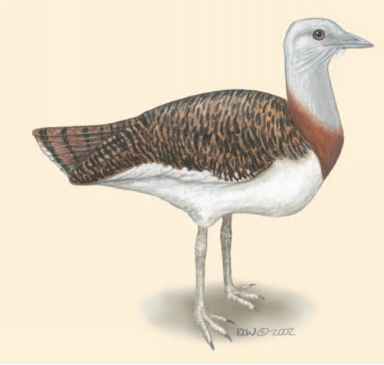 The great bustard is also currently the symbol of a grassland conservation program.